A woman’s ovaries are equally as important to her reproductive wellness and fertility as her womb. Their healthy function is crucial. They are also fascinating, small and mighty organs with quite a job! 2. A female fetus’ ovaries are home to roughly 7 million eggs while she is still in her mother’s womb. She will be born with around 1 million eggs. By the time she reaches menstruation, a female’s follicle count — the sac of cells surrounding each egg within the ovary that nurtures an egg that will be ovulated to maturity — is roughly 200,000. Of that 200,000 only less than 500 will be ovulated in a healthy, average woman’s lifetime. And as you know only a small, very small number of those will be fertilized. 3. The ovaries secrete the hormones necessary for proper development of the female body in her fertile years and help her maintain healthy fertility. 4. The ovary tissue of young, fertile women is flexible, and hormonal changes can cause the ovary to twist or move a little bit (twisting too far is called ovarian torsion). 5. The testes are the male counterparts to the female ovaries. 6. The ovulation pain sensation has a second name, “mittelschmerz”. Some women can feel short-lived, one-sided lower abdominal pain during ovulation. 7. The ovary doesn’t stop working at ovulation. If fertilization occurs the egg sac from which the dominant egg ovulated, called the corpus luteum, will continue to produce progesterone to prepare the uterine lining for implantation. The corpus luteum continues making progesterone in early pregnancy until the placenta takes over. 8. The body perceives stress as a lack of resources, perhaps lack of the resources necessary to sustain a pregnancy, causing ovulation to stop temporarily for some women. 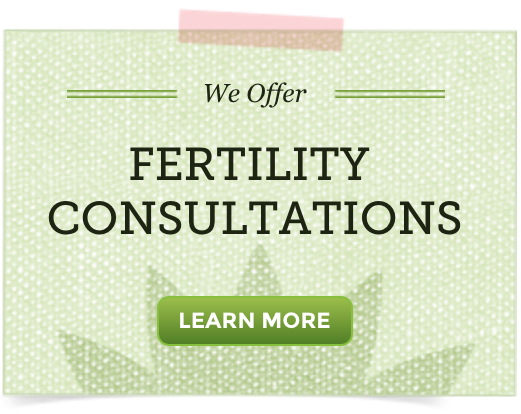 Women experiencing chronic stress may experience longer periods of anovulation. 10. Researchers at Brown University have been able to grow an ovary that was able to mature viable egg cells in a laboratory setting in 2010. This is promising for women whose ovaries don’t function as they should or are damaged. And one last fact because I’m an herbalist, did you know that plants have an ovary too? The female organ of a flower is an ovary. It does not produce hormones, but houses ovules that when fertilized develop into seeds, not unlike an egg turning into an embryo and child. Eating a healthy whole food diet filled with lots of antioxidants, managing stress, living a healthy lifestyle (P.s. don’t smoke!) 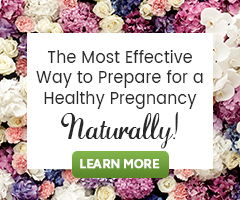 and supporting healthy circulation to the ovaries are all wonderful ways to ensure your ovaries will stay healthy through your entire reproductive phase of life. A great place to start is with the tips in our guide 6 Things Every Woman Should Do For Her Fertility.